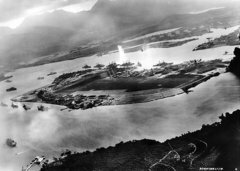 The anniversary of the attack on Pearl Harbor is Dec. 7. Below are picks chosen by PRX editorial staff. You can see all potential pieces by using our search. Two survivors of Japanese American internment describe how they went from being seen as model citizens to being seen as the enemy. In the story of their fight for financial reparations they tackle the question: how do you repay someone when what’s been taken is their basic human dignity? After the Japanese attacked Pearl Harbor on December 7, 1941, the U.S. rounded up 120,000 people of Japanese decent and put them in internment camps. Nearly two-thirds of them were American citizens. Years later the U.S. government would apologize and pay reparations to people who had been held in the camps, but it took decades for that happen. In this story, Chiye Tomihiro and Sam Ozaki, two survivors of internment, describe how they went from being seen as model citizens to being seen as the enemy, and how they fought to get what was owed to them after the country admitted its mistake. They tackle the question: how do you pay someone back when what’s been taken away is their basic human dignity? This piece was produced as a collaboration between Robin Amer and Jesse Seay, and narrated by Jesse. The Tragedy of Bataan (buh-tan)... - narrated by Alec Baldwin and Produced and written by film maker Jan Thompson. The Philippine Islands were attacked shortly after the attack on Pearl Harbor. The final segment describes the fall of Bataan and those who were able to escape to Corregidor Island. Interviews are with: Art Campbell, Ralph Levenberg, Nurse Eunice Tyler, Jim Collier, Frank Bigelow, Wesley Holden, and Jim Collier. Diary excerpts from Albert Brown. After Pearl Harbor, about 120,000 Japanese Americans were uprooted and forced to live for years in remote federal camps around the country. The upheaval of internment changed the traditional Japanese diet. Jim Peacock is one of only a few dozen U.S. veterans who witnessed both the beginning of World War II at Pearl Harbor and the war's end on deck the U.S.S. Missouri. He remembers December 7, 1941: "You knew what destruction really was." Mara Kumagai Fink explores her family's experiences in the internment camps during WWII. Mara spent the summer interviewing family members and revisiting the camps with them. She wondered "Why am I angrier about it than they are?" The Battleship Missouri is best known as the site where World War II officially ended on Sept. 2, 1945. Veterans share tales about the ship, nicknamed the "Mighty Mo," and celebrate its arrival in Pearl Harbor, where it is now a floating museum. Veterans commemorate the arrival of the USS Missouri in Hawaii and reflect on why it is one of the world's most famous battleships. This piece also includes audio from General Douglas MacArthur's historic speech on the ship's deck, where Japan formally surrendered to the Allied Powers in Tokyo Bay. Note: Good piece to air on Sept. 2, when an annual ceremony takes place on the ship to commemorate the anniversary of the end of World War II. Since this story aired, the "Mighty Mo" has become a floating museum and is celebrating its 10th anniversary this year. Visitors from around the world come to walk the ship's deck and step back into history. "Battleship Missouri Memorial" won the Society of Professional Journalists Hawaii Chapter's Excellence in Journalism Award for Public Service Reporting in 1999. Norman Corwin is widely acclaimed as one of the greatest writer–director–producer's of radio's Golden Age. Radio educator, Tony Palermo, says that not knowing Corwin's work is like never having heard of Shakespeare. 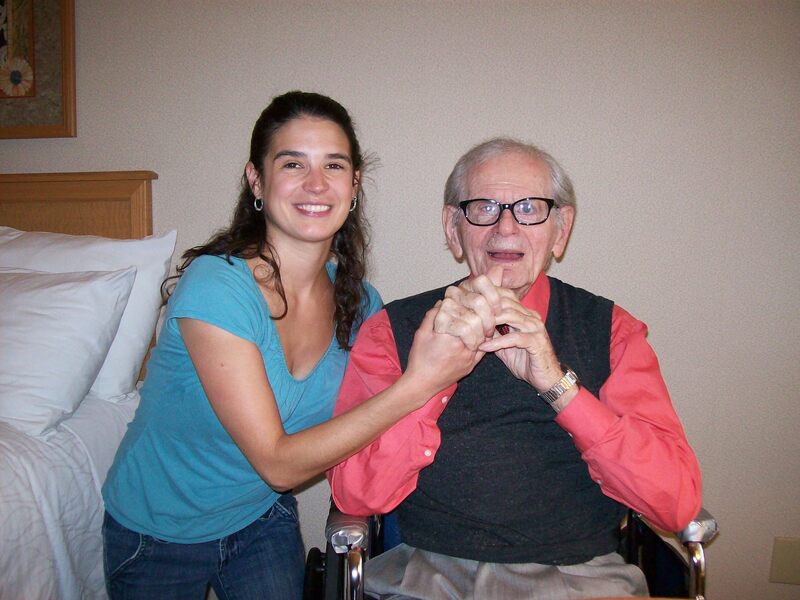 Producer Katy Sewall sat down with Norman Corwin right after his 100th birthday and brings you this sound-rich exploration of his work and influence.